Quiet by Susan Cain is a great book, in it she talks about introverts and the power they can have in business and society. According to Cain, over a third to half the world’s population are introverts. Cain talks about how in Western cultures extroverts are looked at with great promise, those of us who are who are talkative, bold, outgoing, and charismatic tend to be thought of as more successful, smart, and important than those of us who prefer to keep quiet. However, the opposite is true in Eastern cultures (i.e. China is used in Cain’s book, although you could make the same argument for most Asian countries) where introverts stand out from the rest of the crowd and are looked to take important jobs, start creative companies, and even be future leaders. While I enjoyed this book immensely, and agreed with much of what Cain said, I didn’t agree with everything, probably because I’m an extrovert. I’ll try to touch on those areas and other thoughts throughout this review. 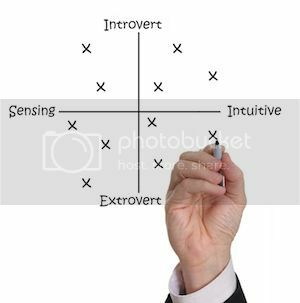 Are you an extrovert, ambivert, or introvert? I’ve read two books now that have some focus on what type of personality one has. One of them was To Sell is Human by Daniel Pink. The other book is this one, and both are very good! You can take Pink’s test here and you can take Cain’s test here. I took both quizzes and Pink’s told me I was an extrovert while Cain’s told me I was an ambivert so I think I fall somewhere in between the ambivert extrovert spectrum. Where do you fall on the spectrum? 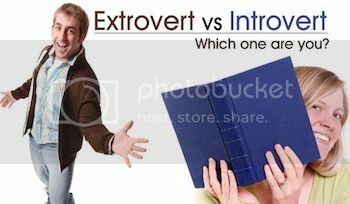 A lot of times people tend to label people as extroverts or introverts, and this isn’t exactly fair or always true. For example, shy people are often labeled as introverts. Maybe they are and maybe they aren’t? A big reason why the shy person is shy is because they fear social disapproval. For example, you might get to know an individual who is shy in front of new people, and find they are extroverted around friends they are comfortable with. The opposite is true as well, upon meeting someone new at work you might expect them to be an extrovert while that introverted person is just trying to be more open with others in order to be accepted by the group. 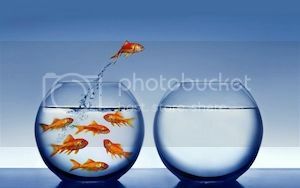 Can introverts develop into successful salespeople, effective leaders, and compelling public speakers? There is no question they can do these things. For example, Jeff Bezos of Amazon, Warren Buffett of Berkshire Hathaway, and Bill Gates of Microsoft are all fine examples of very successful introverted leaders. Buffett used to be scared to death to give speeches and tried to avoid public speaking, however he gradually adapted to it and became a fine public speaker. While Buffett is no longer afraid of public speaking, given the choice he Buffett would probably turn inward, and he prefers his time alone than that of speaking to big crowds, which extroverts on the other hand crave. In the book Cain mentions something along the lines that introverts demonstrate superior performance when they are leading a team of proactive workers. I’m not so sure I agree with this, while I have seen some introverts lead teams quite effectively, I’ve seen extroverts do the same. I think this is more of a generalization than anything else, it would be nice to back it up with facts or a study. I find extroverts can be excellent leaders, most of the time they have superb communication skills and are able to effectively motivate a team. I really like this book, it was well written and definitely a page turner. 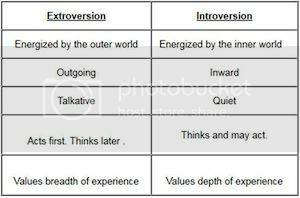 It really helped me understand introverts more completely and I would urge extroverts to pick up a copy and read it as well. I will say this is a must read for any introvert, especially those in the USA, it will help you understand yourself better. It helped me understand myself better, and I fall within the ambivert category more so than the extrovert or introvert. Cain did a phenomenal job with this book and I can see it being used in classrooms for years to come. This entry was posted on Saturday, July 6th, 2013 at 9:24 pm and is filed under Books. You can follow any responses to this entry through the RSS 2.0 feed. You can leave a response, or trackback from your own site.